After Hedman, what else does Europe have to offer? No matter how talented a European-trained prospect is, there are often questions about his ability to adapt to the NHL’s smaller rink and more physical style. Offsetting some of these concerns is the fact that top European teenage players usually get the chance to play against adult pros – including former NHL players – at an earlier age than their counterparts playing in North American junior leagues. The following is an overview of how the top 2009 Entry Draft hopefuls playing in Sweden, Finland, Russia, Czech Republic and Slovakia fared during the 2008-09 season. In most European leagues, the regular season is complete and the playoffs are under way. The 2009 Euro draft crop in general is a little weaker than average. But it figures to be a banner year for Swedish prospects. The top eight skaters in NHL Central Scouting’s midterm rankings were all Swedes. In fact, 10 of the top 13 ranked skaters play in Sweden. Victor Hedman -- If any player is going to knock highly touted John Tavares out of the top draft position, it’s going to be Modo Hockey's Hedman. The towering (6-foot-5, 212 pounds) defenseman recently completed his second season at the Elitserien (Swedish elite league) level. The 2008-09 season proved to a disappointment for Modo. Swedish champions in 2007, the team missed the playoffs this year after battling for the top of the standings midway through the campaign. But it was a stellar year for Hedman, who shrugged off a midseason shoulder injury to finish the campaign strong. Paired with veteran former NHL defenseman Mattias Timander, Hedman began to show some of the offensive upside scouts have been touting along with his rare combination of size, speed and defensive awareness. In 43 games for Modo this season, Hedman posted 7 goals, 21 points and a stellar plus-21 defensive rating. Magnus Paajarvi -- One of the fastest players available in the 2009 draft, Paajarvi is known for his ice vision and deft touch with the puck. The Timra IK wunderkind played part of the 2007-08 season and all of the current season at the Elitserien level. During the 2008-09 regular season, the 6-foot-1, 200-pound left wing contributed 7 goals, 17 points and a minus-6 rating. Those are more than respectable totals for a teenage player in an elite league. Paajarvi’s team is currently locked in a first-round playoff matchup against defending champion HV 71. TIK leads the best-of-seven series 2-1. So far in the series, Paajarvi has scored a power-play goal for his first postseason point. One of Paajarvi’s teammates on TIK is Anton Lander, ranked 13th in Central Scouting’s midterm rankings. The 5-foot-10, 175-pound forward chipped in four goals and 10 points during the regular season. He has dressed in all three games of the HV 71 series, but has not recorded a point. Jacob Josefson -- Widely regarded as one of the most complete players available from Europe this year, Josefson’s play was a bright spot in an otherwise desultory year for Djurgarden. The team missed the playoffs, finishing 10th in the 12-team Elitserien. The 6-foot, 187-pound center chipped in 5 goals and 16 points for Djurgarden this season. Over the holidays, he joined Hedman and Paajarvi on Sweden’s silver-medal winning squad at the Under-20 World Championships. More than for his offensive potential, Josefson impressed scouts with his willingness to work hard defensively and get involved in physical play. David Rundblad -- Yet another member of Team Sweden’s 2009 World Junior Championship roster, the 6-foot-1, 190-pound Rundblad is already a regular starter on the blue line of Elitserien team Skelleftea AIK. The smooth-skating Rundblad has the potential to be a two-way defenseman in the NHL. During the regular season, he used his breakout passing ability to contribute 10 points (all assists) for SAIK. He also has one assist in Skelleftea’s playoff series with Linkoping. SAIK currently trails the series 2-1. Tim Erixon -- Like Rundblad, Erixon is a well-regarded defenseman for Skelleftea and played with head-of-the-class prospect Hedman on the Team Sweden blue line at the World Juniors. The 6-foot-1, 190-pounder dressed in 45 games for SAIK this season. During the regular season, Erixon scored 2 goals and 7 points while posting a plus-5 rating. He also dressed in three Allsvenskan (top Swedish minor league) games for Malmo IF, contributing a pair of assists. Erixon has dressed in all three games of the Skelleftea-Linkoping playoff series. Robin Lehner -- Entering the 2008-09 season, Lehner was arguably the most highly touted European goaltending prospect since Riku Helenius was drafted by the Tampa Bay Lightning in the first round of the 2006 Entry Draft. At 6-foot-3 and 220 pounds, Lehner has both the size and athleticism that NHL scouts like. Goaltenders typically take longer to develop than position players. Lehner appears to be no exception. Although he held on to his top-rating goaltending spot in the Central Scouting midterm rankings, Lehner has struggled with rebounds and his angles at times this season for the Frolunda Indians’ J-20 team. The Frolunda J20 team has been the best junior team in Sweden in recent years, winning consecutive championships. The team has once again advanced to the playoff round. Frolunda opens the playoffs today in a best-of-three series with Huddinge IK. The recent crops of Finnish draft hopefuls have been filled with role-playing types of prospects. There has not been much in the way of pure skill. A trio of 2009 draft candidates will look to reverse the perception that the Finnish junior programs are in a bit of a fallow phase. Joonas Nattinen -- A member of the Finnish junior national team, Nattinen is a well-regarded young forward in the Espoo Blues system. His play was a bright spot for an otherwise nondescript Finnish entry at the World Junior Championships. Nattinen dressed in 14 regular-season SM-Liiga (Finnish elite) games for Espoo this season, but did not record a point in his limited ice time. Prior to the World Juniors, he played for the Finnish J20 team at the Mestis (top minor league) level, posting a pair of goals and 4 points in five games. Toni Rajala -- If Rajala were bigger, he’d probably have been ranked higher than 14th in the Central Scouting ratings. Standing just 5-foot-8, Rajala is a pure sniper. Like Nattinen, the young forward from the Ilves Tampere system played on the Finnish J20 team and showed promise at the World Juniors (2 goals, 3 points). 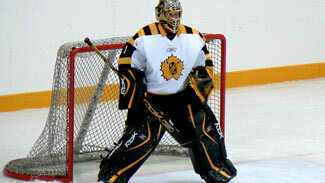 By the end of the 2008-09 season, Rajala established himself as an SM-Liiga regular on a disappointing Ilves team. In 21 games played, he tallied a pair of goals and five points. In recent years, Russian players – ranging from Evgeni Malkin and Alexander Ovechkin to Nikita Filatov and the late Alexei Cherepanov – have been at or near the head of the class among European prospects in the NHL Entry Draft. This time around, there’s no breakout Russian player, although there are a couple of skilled prospects with a chance to go in the top two rounds of the drafts. Nikita Dvurechensky -- A smooth skater and deft puckhandler, Dynamo Moscow prospect Dvurechensky is not yet ready to play in the Kontinental Hockey League or for Russia’s national Under-20 team. He is likely to play in the upcoming Under-18 World Championships. Ranked ninth among European skaters in the Central Scouting midterm ratings, Dvurechensky had a solid but not spectacular year for Dynamo at the Pervaya level. Pervaya is a second-tier minor league that for all practical purposes functions as Russia’s top junior league. Dmitri Orlov -- An offensive-minded defenseman, Orlov captained Russia’s national 1991-born junior squad. He also cracked the KHL this season, receiving limited ice time before suffering a setback when he suffered a shoulder injury on a questionable hit by veteran Mika Hannula. The biggest question mark with Orlov is his lack of size. At just 5-foot-8 and 176 pounds, Central Scouting’s 10th-ranked Euro prospect needs to compensate with finesse and speed. In recent years, there has been a mass exodus of high-level and even mid-level Czech and Slovak prospects to North American junior leagues. As a result, these players show up on the North American rankings, while those who remain in Europe usually settle into the background on draft day. This year, there’s a pair of Slovaks – one playing in the Czech Republic and the other a Slovak leaguer – with a chance of going in the early rounds of the draft. Richard Panik -- Panik was one of the key members of Team Slovakia’s surprisingly strong team at the Under-20 Worlds. He posted 2 goals and 5 points in seven games. He got into 15 games at the Czech Extraliga (senior elite) level for HC Trinec, scoring once and adding an assist. Ranked 16th by Central Scouting, Panik has torn up the Czech Under-20 level and seen action at the adult Division I level as well. Tomas Tatar -- A regular for Slovak Extraliga team HKM Zvolen, the small (5-foot-9, 180 pound) forward is an exciting young offensive talent. He posted a respectable 15 points (7 goals) in 48 Slovak Extraliga regular-season games this season, and tore up the World Juniors, scoring 7 goals and 11 points in seven games. Tatar was one of Slovakia’s stars in the country’s upset of Team USA. He was ranked one spot behind Panik in the Central Scouting midterm rankings.